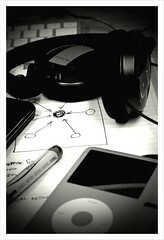 Will social technologies improve performance? 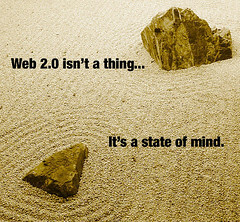 One of the most challenging questions… Will enterprises benefit of Web 2.0 deployments and will such technology improve performance? On the one hand you see by far too much time spent on Facebook these days and statements like “my whole life is there” are not such unussual amongst the young generation. Therefore, the question is not how you make them use it (they already do) but what benefit you have as a company from using such technologies? McKinsey’s conclusion is that companies are improving their mastery of social technologies, using them to enhance operations and exploit new market opportunities (“How social technologies are extending the organization,” McKinsey Quarterly, November 2011). They asked 4,261 global executives how their organizations deploy social technologies, including social networking, blogs, video sharing and microblogging, and the benefits gained. The 2011 survey reports that when adopted at scale across an emerging type of networked enterprise and integrated into the work processes of employees, social technologies can boost a company’s financial performance and market share, also confirming last year’s survey results. 4. In the fourth and by far the largest group, developing organizations, respondents report lower-than-average improvements across all interactions at their organizations. Boundaries among employees, vendors and customers will blur. I would raise a red flag here as this might be a signifficant risk management issue. More employee teams will be able to organize themselves. I would consider it one of the most relevant benefits. Data-driven decision-making will rise in importance. 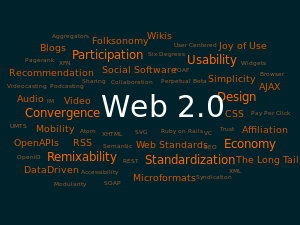 I’d also add a red flag here considering that Web 2.0 gathers unstructured data and the real challenge will be how to manage such information in a structured way. The 160 characters speech. How to get the attention of Generation Y.
I presented a KM tool this year twice for two different groups in the same company. Once in January and once in June. In January the audience was aged around 30 and over with at least some years of work experience. In June I had people around 20 or slightly over, I assume most of them new joiners. This made me thinking about the new generation. How do you get their attention and what would be a better way to train these people? Raised in an educational culture of working in teams and being highly socially connected through computers, cell phones, text messaging, instant messaging, social networking, blogs, multi-player gaming, etc., the new generation is extremely social-centric. They are building relationships virtually and they are bringing a culture of constantly working together into the workplace – wherever that is. They make sure their friends remain “in the know” by sharing information such as articles, job opportunities or YouTube videos. It is a continual habit – not daily, but hourly. Statistically, generation Y (and Z) will be the most educated generation ever. According to the “UNESCO Global Education Digest 2010” the number of secondary education students rose from 195 million in 1970 to 526 million in 2008, meanwhile, the number of tertiary students increased by six times over the same period, from 32 million to 159 million students in 2008. Is this relevant? How much do this change the interest they will show in doing their job at the highest standards? Does this mean they will be ready for a life-long learning environment? In some cases it may be so but I’m not convinced about the majority. Education nowadays is a “must have” because you cannot find a proper job otherwise but I see way too much superficial behaviour here. You can do a paper work a lot faster by web searching today than you could have done it 5 or 6 years ago (needless to say 15 years ago) but you don’t pay much time analysing the information and its sources. Issues such as credibility of sources have melt down into wiki and blog posts. In this way you may have time to chat or post a joke on Facebook but this will not make you a better performer at your work place. When it comes to learning IBM has found different age groups respond best to different methods of training and professional development. Baby Boomers prefer the traditional structure of a classroom and teacher. Generation X typically opts for online courses that are self-paced, while Generation Y benefits more from social-based learning approaches. I do agree with IBM’s results. The new generation needs an informal learning environment and messages have to be short and action based. It’s the culture. You need to communicate to them with some of the techniques used in advertising. You have to advertise your new tool the same way you would do with a new tooth paste. Otherwise, they will not be interested in using it. It just won’t create the buzz! Thinking about all these I reached the conclusion that the best presentation for the new generation is a 160 characters speech. Maybe, just maybe, this “twitter-like” message would have a chance.